Wine shop and seasonal British bites. A family run wine store and basement restaurant. 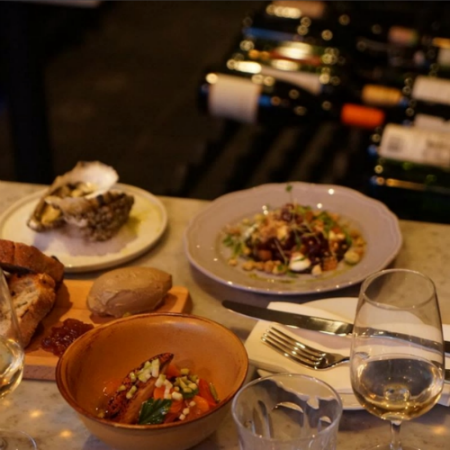 Linden Stores offer well-priced wine selection with bottles for everything and all will be available to drink in or takeaway. 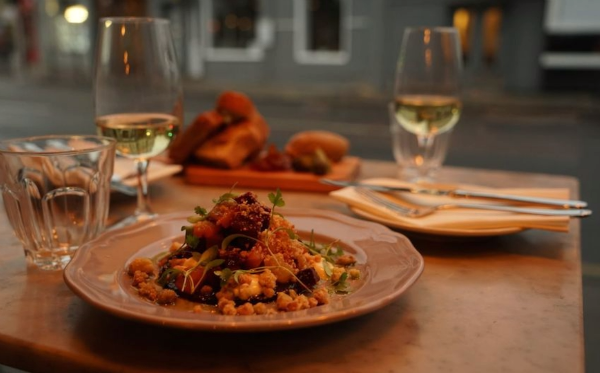 When it comes to the food, you can expect a regularly changing menu. We went to celebrate my wife promotion. the place is very intimate and the staff is amazing. The food is terrific as well as the atmosphere. We will come back for sure!! It was an awesome evening - food is terrific and the staff are great at suggesting wines! Thanks for a lovely meal and such welcoming service. Such a lovely evening. Great food, great drink, great concept. We’ll be back! Taste of food was fantastic but most of our dishes came with quite similar presentation otherwise whole experience was great. Thanks so much! Excellent neighbourhood cosy place in the midst of Highbury & Islington. 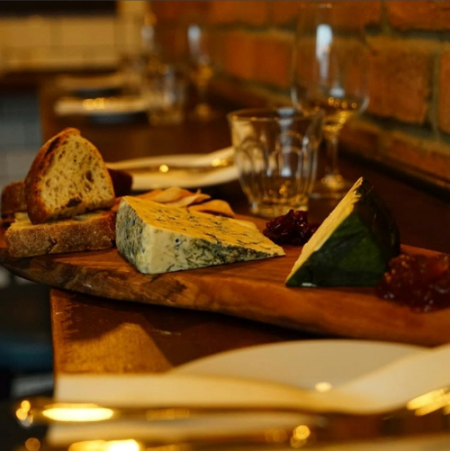 The food is fine, in small plates to share with affordable prices! 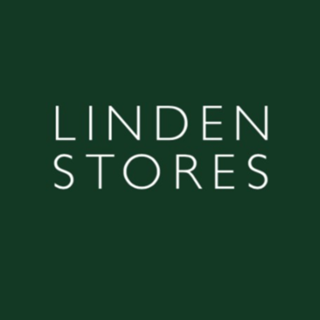 I have been to Linden Stores several times now and have always had an exceptional experience. This week I booked the top floor for my 40th and really we just couldn’t have had a better time. Laura was helpful throughout the whole organisation process. She agreed to use the Burns menu from the previous evening (I’m Scottish and wanted the mix of Burns and birthday). The staff went out of their way to accommodate the whole group, including various dietary requirements, wine pairing etc. They took great care of us, we never felt rushed, only looked after. The food was delicious. The wine was delicious. The atmosphere was perfect. I couldn’t have had a better 40th. Thank you Linden Stores. Thank you for a lovely night! The food was fantastic and we loved the private dining room. Would definitely recommend! Such a little diamond of a restaurant- truly unique. We LOVE YOU!!!!! Excellent food, wine and service! This is one of my favourite places in London. The dishes were delicious, the rabbit pie was a particular favourite. The wines were a good match and we particularly liked the Turkish dessert wine. A really relaxed and comfortable setting with very knowledgable and friendly waitresses. The bill was a nice surprise as it was very reasonable! I’ll be back and have already recommended Linden Stores to 2 people. we had a wonderful time in the private area downstairs. our waitress was lovely and very helpful with my dietary requirements. the food was bloody delicious, we will be coming back!! thank you. Had an absolutely fabulous time at my birthday there recently - food was delicious! Absolutely loved our dinner here! 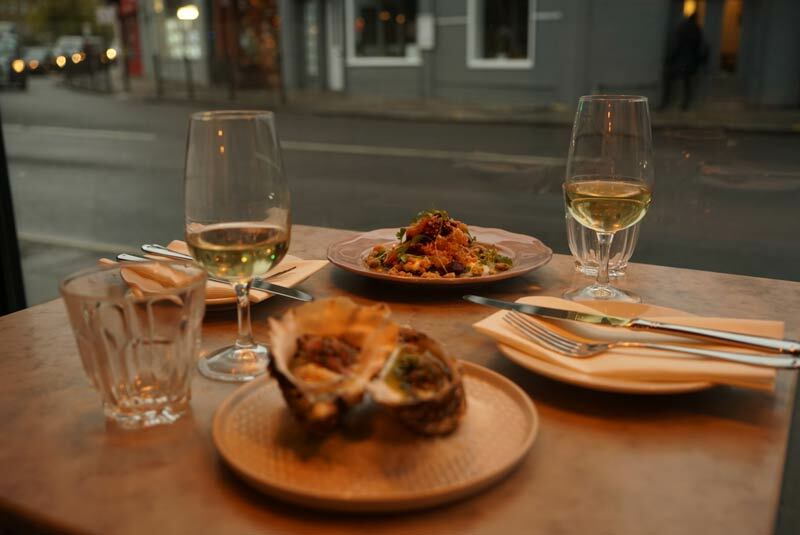 Great food, wonderful wines (although perhaps would like a few more to be open by the glass) but most importantly just fantastically conscientious staff who really seem to enjoy what they do. Smiles all around! Fantastic little spot - we really enjoyed everything we ate, and the warm and intuitive service. The food was so delicious and the atmosphere completely charming. I read about the restaurant on the Infatuation blog and they were spot on. Can’t wait to go back! Four of us dined for the first time at Linden stores after I had read an article in Olive magazine. Apart from no gin for predinner drinks the overall experience was excellent. Food was delicious, service great and ambiance perfect. Highly recommend and will definitely be returning, it’s my new favourite place. Absolutely incredible food at a good price! I’ve been twice and cannot wait to go again.